The Cyber Cycle Indicator is based on John Ehlers work in 'Rocket Science for Traders'. 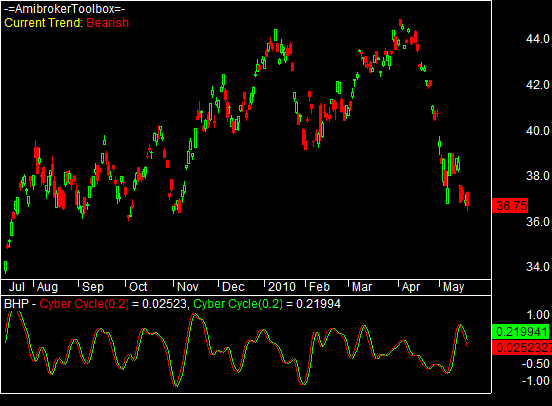 The Cyber Cycle Indicator makes an excellent entry and exit indicator with very little lag. Our tests show it can greatly outperform other oscillator indicators like RSI. Copyright © 2019 WiseTrader Toolbox. All Rights Reserved.